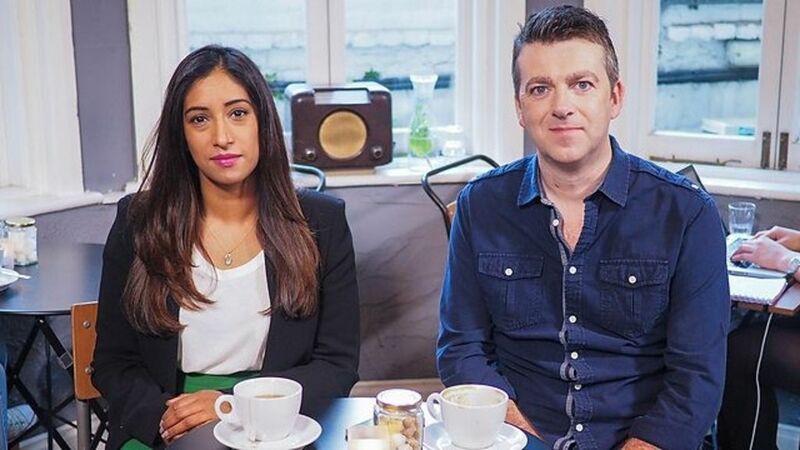 BBC Radio 1 news presenters Tina Daheley and Chris Smith are understood to be coming off air after more than 20 years of combined service to the station. The changes come at the same time as major schedule changes from next month, which see Greg James take over the breakfast show and Nick Grimshaw move to drivetime. Both shows will air Monday to Thursday. Chris has been the main voice of news on daytime and afternoons on Radio 1 since 2011, while Tina has been on breakfast bulletins (just sports news initially) since 2010. His last bulletin on air is expected to be the 5.45pm Newsbeat tonight (Friday). Chris joined Radio 1 in 2007 from Absolute Radio where he’d been the newsreader and co-host on the Christian O’Connell breakfast show. Prior to that he’d been on air with Christian at XFM London, following earlier stints as a journalist and newsreader at Chiltern Radio and Heart 106.2. He took over as the regular afternoon newsreader on Radio 1 in May 2011, and regularly presents both the 12.45pm and 5.45pm extended Newsbeat programmes. He’s been a big part of the Greg James drivetime show over the last few years, and co-host of the show’s weekly podcast. Together with Greg, Chris is the co-author of the children’s book Kid Normal. Tina joined the BBC in 2007 and her radio work has included hosting the news programme on 1Xtra, being the Radio 1 sports newsreader on the Chris Moyles Show from 2010 until September 2012, and the main newsreader with Grimmy since then. She is also known for her work presenting ’60 Seconds’ on BBC Three, presenting Crimewatch with Jeremy Vine and working as a cover presenter on BBC TV News shows including BBC Breakfast, Victoria Derbyshire and Panorama. In May this year she made her debut on the BBC News at Six and last month presented the BBC News at Ten for the first time. She appeared on the BBC pay list in July for the first time, showing that she earned between £150,000 and £159,999 from the BBC during the 2017-18 financial year. If you’re a fan of Chris Smith you want to listen to tomorrow night’s 5:45 Newsbeat bulletin. Another long-serving Radio 1 Newsbeat reporter, Dan Whitworth, also left the station last month after more than a decade – to join Radio 4’s Moneybox programme.